Football can sometimes become war, or at least get as near to war as possible. 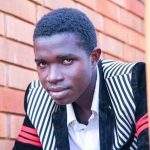 It would seem like the truth of that statement is getting to be manifested in the way Tanzanians are approaching this weekend’s match between their national football team, The Taifa Stars, and Uganda Cranes. Here is the advert for this Sunday’s East African derby in Dar es Salaam!!! Tanzania’s Taifa Stars, placed third in group L of the AFCON 2019 qualifiers and tied on five points with Lesotho, need to secure maxim points against the Uganda on Saturday to qualify for June’s AFCON which will take place in Egypt. 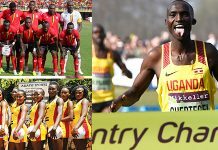 The Uganda Cranes already qualified as group winners after garnering 13 points from five games. 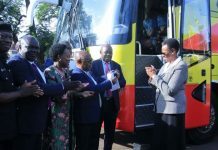 Enter the Tanzania Football Federation, using the Tanzania People’s Defence Forces’ 1979 victory over former Ugandan President Idi Amin as a rallying point to get the soccer fans believing that if united behind their team they can beat Uganda. 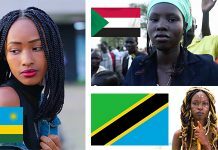 In an advert that is running widely on TV and radio, a lively voice can be heard urging fans of the Taifa Stars to show up in big numbers at the National stadium in Dar-es-salaam this Saturday, so as to rally on their team to qualify for AFCON 2019. 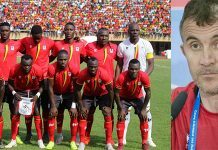 The voice tells the fans that just as Tanzania overcame Idi Amin in 1979 courtesy of being united, they can also overcome the Uganda Cranes this Saturday if they unite behind their team. You have to give it to the creativity of whoever was behind the advert, as it should really inspire fans to approach the match as a war in which they must show their patriotism, let alone one they should believe they can win because there is a big precedent in the defeat of Idi Amin. 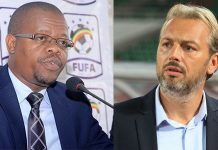 On the Ugandan part, Cranes head coach Sebastien Desabre has already described the tie as a do or die affair, saying the Taifa Stars must expect a tough challenge for their AFCON dreams. “We need to finish the AFCON 2019 qualification on a strong note and finish very well in Tanzania. We are going for maximum points. It is a good opportunity to play in Tanzania. Tanzania will be under pressure, stadium will be full,” Desabre said in one of the recent interviews. 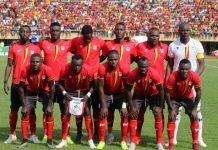 The Uganda Cranes are currently on a training camp in Egypt ahead of the final group L AFCON 2019 qualifier against Tanzania. They are camped at the training complex of the Tolip Hotel and Spa Ismaila, Forsan Island. Yesterday they played a test match against Egyptian Premier League outfit Tala’ea El Gaish Sporting Club, attaining a 1-1 draw. Previous articleBig Eye’s ex-lover Don Zella repeatedly accuses singer of being a staunch witchcraft practitioner!